Given the surfeit of evil, atheism advances itself as intellectually and morally superior to Christianity (and any religion). Atheism is not burdened with attempts to explain evil in relation to God. Evil just exists in a godless world. The problem vanishes. But it does not so vanish, for two main reasons. First, in order to speak of the problem of evil, a person must believe that objective evil exists. To justify this claim, the person needs to adequately explain the existence and nature of evil. In order for objective evil to exist, objective goodness must exist as well, and good must exist in a more fundamental way. This is because evil is a corruption or twisting of the good. Evil does not exist in and of itself…. Evil is the rust on the iron or the hole in the roof. While a person or an event may be truly evil (the evil is not illusory), that evil could not have existed without an antecedent and original good. 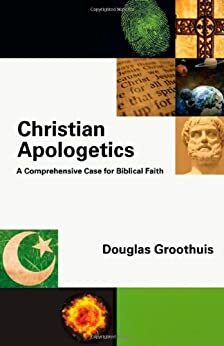 Douglas Groothuis, Christian Apologetics, p. 617-618. …The third emphasis in Amos’ message to the church is that religious profession and religious practice are invalid—to be more precise, repulsive to God and therefore not just useless but also dangerous—unless verified by clear evidences. Throughout his book, by implication, but in a succinct fashion in 7:7–8:10, Amos makes clear what the evidences of true religion are. It is the task of the expository studies at that point to explain them, but here they are in summary. In personal terms, true religion is to respond fully to the grace and law of God, living out the law in a life of obedience, resting on the grace both for ability and forgiveness; towards God, true religion is a reverent hearing and receiving of His Word; and towards other people it appears as honesty, considerateness and unfailing concern for the needy. Take these things away and what remains does nothing more than invite the adverse judgment of God. In all this Amos speaks directly to the church today, and we must banish any thought that he speaks primarily to some other people or to other situations and that it is only by some exegetical gymnastics that there is a message here for the Christian. Amos addressed ‘Israel’ and we are ‘the Israel of God’ (Gal. 6:16). It is to be noted that Paul does not say ‘the new Israel’, and nowhere in the Bible does such a phrase (or notion) occur. Jesus designated His people as the inheritors of the new Covenant predicted by Jeremiah (31:31–34; cf. 1 Cor. 11:25); Paul spoke of them as the children of Abraham, along with Isaac (Gal. 4:28); he also said that ‘we are the circumcision’ (Phil. 3:3). It is precisely because this is the true situation that James can take the prophecies of Amos as a handbook for the church’s mission (Acts 15:15 ff.). In doing this he sets an example in the realms of both principle and practice: in principle, in that Amos brings a Word of God directly (not mediately) to us for our direction, admonition and instruction, and in practice, in that we are to see all that he says in the light of the kingdom of Jesus Christ, a kingdom not of this world, not promoted by the methods of the world, nor seeking political fulfilments in a geographical location. J. A. Motyer, The Message of Amos: The Day of the Lion, ed. J. A. Motyer and Derek Tidball, The Bible Speaks Today (England: Inter-Varsity Press, 1984), 18–19. I recently took time to read various parts of Joel Beeke and Paul Smalley’s new Reformed Systematic Theology (volume one). 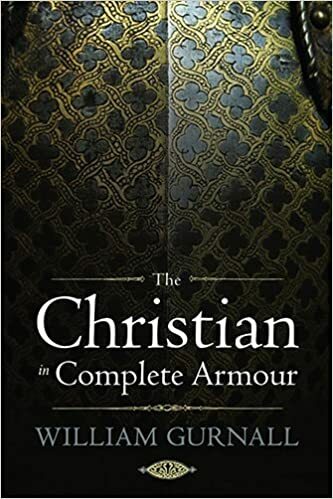 To be sure, it is solid, biblical, and well-written in a clear manner. It is a bit wordy in places, however; this is not a concise or short ST written for average laypeople. 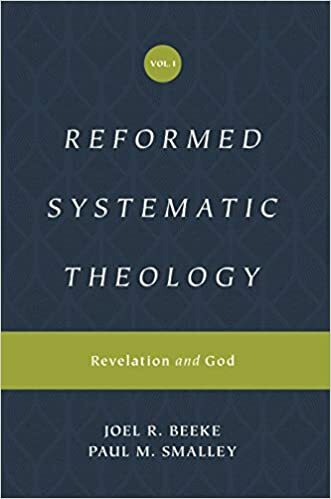 Reformed Systematic Theology is structured and edited to be exactly like Grudem’s systematics: a point by point outline followed by a hymn/psalm and some questions for reflection (as a side, I admit I never read the questions!). One reason I’m not overly excited about this ST is that it’s not really a needed contribution in the area of Reformed systematics. There are so many Reformed STs: Berkhof, Bavinck, Vos, Hodge, Turretin, Van Mastricht, Heppe, Brakel, Watson, Shedd, Boston, and newer ones like Horton, Frame, Boice, Reymond, Kelly, and so on. Beeke and Smalley’s contribution overlaps with those by around 85%. Granted, Beeke and Smalley do interact with some issues of the day (like Pentecostalism and open theism), but the substance of the theology is nearly the same as the prior Reformed systematics before. Again, this is a solid ST, but as I was reading parts of it I thought: I’ve read this material before. In fact, several times I found myself skimming for this reason. It’s also worth mentioning that Reformed Systematic Theology has little to no interaction with Biblical Theology (BT) and it doesn’t have a BT or redemptive-historical perspective. I always like it when newer STs overlap and interact with BT (e.g. like Horton). One other thing: I was surprised that the KJV was used as the primary Bible translation in this book. To me, it doesn’t make sense to use an archaic Bible translation in a modern ST. Anyway, again, much of the content of Reformed Systematic Theology is five bright stars. It’s solid and in the line of other solid Reformed STs. But many other STs on my shelves contain the same information so I don’t necessarily need this one. In my opinion, it doesn’t fill a gap in the area of systematic theologies. However, if you are in need of a new, longer, and more detailed Reformed ST, this is one to check out for sure. Joel Beeke and Paul Smalley, Reformed Systematic Theology (Crossway: Wheaton, IL, 2019). It is sometimes said that the Hebrew Bible, by concluding with the Writings, effectively diminishes the eschatological force of the first three-quarters of the Christian Bible. Concluding with Chronicles rather than Malachi blunts the prophetic thrust of the Old Testament. While this may be partly true, it is not the whole truth. Chronicles sums up the entire story of the Hebrew Bible. In many ways it is a genealogy in search of an ending, concluding with an eschatological hope for a Davidic descendant. It concludes with the ruler of the then-known world, Cyrus—the anointed of the Lord—declaring that all the kingdoms of the world have been given to him so that he can now issue the summons for the Jewish exiles to return home to rebuild the temple. The first book of the New Testament begins with a long genealogy clearly ordered in three groups of fourteen descendants to highlight the Davidic theme, and concluding with Jesus as the ultimate Son of David. The book of Matthew concludes with this same Jesus, now resurrected from death, declaring to his disciples that all authority has been given to him so that they can now be summoned to “rebuild the temple,” i.e., make disciples of all nations. Stephen G. Dempster, “Canon and Old Testament Interpretation,” in Hearing the Old Testament: Listening for God’s Address, ed. Craig G. Bartholomew and David J. H. Beldman (Grand Rapids, MI; Cambridge, U.K.: William B. Eerdmans Publishing Company, 2012), 177–178.